Alice research interests incorporate an interdisciplinary approach to explore the interaction between sustainable energy, climate change, ecosystem services, economic development and policy interventions. Her PhD research focuses on the sustainability impacts of clean cooking solutions in rural Kenya. The overall aim of this study is to establish the mechanisms through which the adoption of clean cooking solutions affects ecosystem services and how this links to poverty alleviation and human wellbeing. Eventually, the study will propose recommendations to design policies and incentives that can shape new values for the promotion, adoption and sustained use of clean cooking stoves and fuels in Kenya and beyond. Dalelan Anderson is an MSc candidate in the Graduate Program in Sustainability Science – Global Leadership Initiative (GPSS-GLI), University of Tokyo. Before joining GPSS-GLI he worked as a Scientific Officer and Researcher for marine ecosystem conservation and climate change adaptation initiatives in Jamaica. He also served as the General Manager of a Marine Protected Area (MPA) engaged in fisheries management and education. He earned his BSc in Environmental Biology from the University of the West Indies in Kingston, Jamaica. His research interests include the evaluation of over-fished marine resources in reefs affected by climate change and are culturally important, and the implications for food security, economic development and human livelihoods. His current research focuses on the economic valuation of the parrotfish species in Jamaica as it relates to coral reef resilience to climate change, and its economic contribution to coastal artisanal communities. 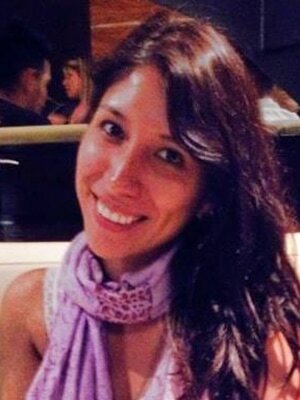 Denise Lozano Lazo is a PhD candidate at the Graduate Program in Sustainability Science – Global Leadership Initiative (GPSS-GLI), University of Tokyo. Denise holds an MSc in Development Studies from the Graduate Institute of International and Development Studies in Geneva, Switzerland (IHEID) and a BSc in Industrial Engineering from the Private University of Santa Cruz de la Sierra, Bolivia (UPSA). Prior to her graduate studies, Denise worked in the energy sector in Bolivia, in areas related to information systems, supply chain management, and corporate governance. Her research and career interests are on green businesses, urban ecology, waste management, and the role that the informal sector and small and medium enterprises (SMEs) can play in contributing to the sustainable development of cities in the developing world. Her current PhD research focuses on the assessment of the barriers and factors of success of sustainable waste management in Bolivia. 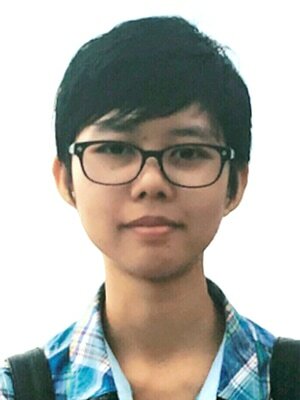 Ei Thwe is an MSc candidate in the Graduate Program in Sustainability Science - Global Leadership Initiative (GPSS-GLI), University of Tokyo. 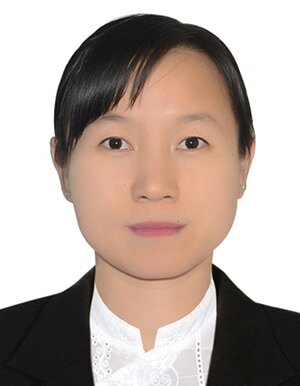 Before joining GPSS-GLI, Ei worked as a deputy staff officer at the Union Minister Office of the Ministry of Natural Resources and Environmental Conservation where she was responsible for policy related subjects, monitoring and evaluation of the foreign projects and issuing environmental compliance certificates. She graduated from the University of Forestry, Yezin, Myanmar in Environmental Science and Forestry (BSc Forestry, 2012). Her research and career interests are on sustainability, developmental policy, resource efficiency and cleaner production, waste management and recycling, and green innovative solutions to business. Her MSc research focuses on the assessment of the EIA system in the industrial sector of Myanmar, whether it is effectively enhance the consideration of environmental aspect and socio-economic well-beings of the project site analysing the loopholes in the system. 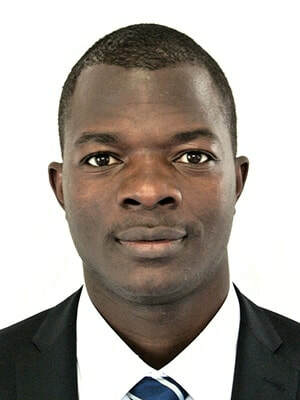 Eric Brako Dompreh is a PhD candidate in the Graduate Program in Sustainability Science- Global Leadership Initiative (GPSS-GLI), University of Tokyo. He holds an MPhil in Agribusiness and a BSc in Agriculture (with a major in Agribusiness), both from the University of Ghana. Prior to joining GPSS-GLI, he worked as a Research and Operations Officer for the Ghana Strategic Analysis and Knowledge Support System project (Ghana-SAKSS) under the Ministry of Food and Agriculture. His research interests include poverty alleviation, food security, agricultural technology adoption, standardization, climate change, as well as sustainable tree crop production. His current research relates to how the adoption of certification standards by cocoa and oil palm smallholders in Ghana can affect productivity, income, food security and poverty alleviation. Helen is a PhD candidate in the Graduate Program in Sustainability Science – Global Leadership Initiative (GPSS-GLI), University of Tokyo. Prior to joining GPSS-GLI, she was a senior timber ranger (2006-2011) and assistant manager (2011-2014) for the Myanmar Timber Enterprise (MTE), Ministry of Natural Resources and Environmental Conservation (MONREC). Then she worked as a staff officer for the Planning and Statistics Division at the Union Minister Office of the MONREC in Myanmar (2014-2015). She received her BSc in Forestry (2006) from the University of Forestry, Myanmar and an MSc in Natural Resource Management (2012) from the University of Mahidol, Thailand. She is interested in how urban ecosystems are contributing a green economy transition in Myanmar by providing significant benefits to urban residents and enhancing urban resilience. Her research interests are urban ecosystems, urban ecosystem services, economic valuation of ecosystem services, urban resilience and green economy development. Her current PhD research focuses on the economic valuation of ecosystem services provided by different types of urban ecosystems in Pyin Oo Lwin, one of the secondary cities of Myanmar. Hongru Hong is a PhD candidate in the Graduate Program in Sustainability Science – Global Leadership Initiative (GPSS-GLI), University of Tokyo. Before that, Hongru worked in environmental consulting and investment for several years, both in the UK and in China. 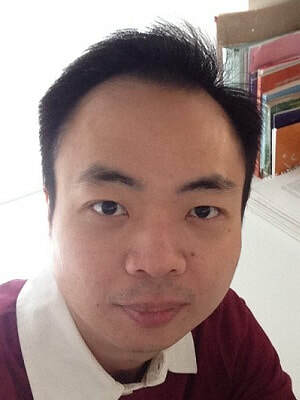 He is a chartered engineer verified by the State-owned Assets Supervision and Administration Commission of the State Council of China. Hongru obtained a BSc in Biological Sciences from Northwest University, China, in 2007, and an MSc in Water and Environmental Management from the University of Bristol, UK, in 2009. During this period he has done research in the ecological behavior of Rhinopithecus roxellanae (snub-nosed monkey) and the impacts of growing biofuel crops on biodiversity. As part of his wok in environmental consultancy, Hongru has evaluated many environmental projects in China and witnessed the outcomes of these investments. After decades of rapid economic growth, China is facing fierce environmental challenges as never before, not only in scale but also in complexity. Still, the investment in and construction of environmental projects, particularly Eco-Industrial Parks, is growing at a fast pace, and this is expected to continue for quite some time. However, are such environmental investments really sustainable when taking a holistic view? With an interdisciplinary background, Hongru is hoping to get a glimpse of the big picture of the relation between ecological, economic and the societal systems using Eco-Industrial Parks as his research focus. Jelena Aleksejeva is a PhD candidate in the Graduate Program in Sustainability Science – Global Leadership Initiative (GPSS-GLI), University of Tokyo. Jelena holds an MSc in Environmental Sciences from the University of Tsukuba, with certificates from the Environmental Diplomatic Leader program (EDL) and the International Collaborative Environmental Program (ICEP). Her broad research interests are in climate change mitigation and adaptation, sustainable development, and renewable energy. Her current PhD research focuses on the deployment of green roofs and solar panels in urban areas as a strategy for climate change mitigation. 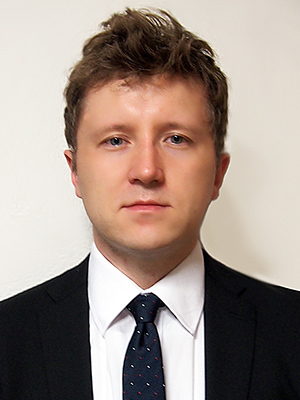 Marcin Pawel Jarzebski is a post-doctoral researcher at the Integrated Research System for Sustainability Science (IR3S), University of Tokyo. 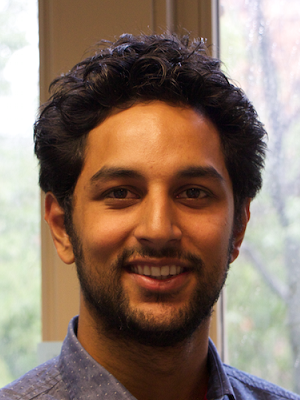 For his current research work he studies the food security effects of industrial crop expansion in Sub-Saharan Africa, and climate change adaptation capacity development processes in Indonesia. He obtained his PhD from the Graduate Programme in Sustainability Science - Global Leadership Initiative Program (GPSS-GLI) at the University of Tokyo in 2015. During his PhD he explored community resilience of indigenous and non-indigenous community forestry groups in the Philippines. 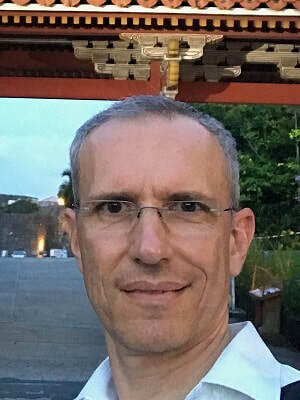 For his previous work he was engaging GIS systems for biomass estimation and loss over the time in the protected areas in Poland (Nicolaus Copernicus University); and GIS application to disaster management in the flood-prone areas of informal settlements in Manila, Philippines (The University of the Philippines). He is also editorial board member of the Ecological Questions Journal since 2011. 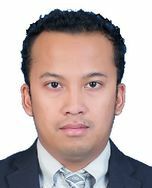 Mizan Bustanul Fuady Bisri (Mizan) is a Visiting Research Fellow at IR3S, University of Tokyo. He is a JSPS-UNU Postdoctoral Fellow at the United Nations University-Institute for the Advanced Study of Sustainability (UNU-IAS). He received PhD and MA degrees in political science from Kobe University (Japan) and MSc and BSc in urban planning from Bandung Institute of Technology (ITB) (Indonesia). Prior to joining UNU-IAS and IR3S, he served as Disaster Monitoring and Analysis Officer at ASEAN Coordinating Centre for Humanitarian Assistance on disaster management (AHA Centre). In the past he has worked for ITB, University of the Philippines, Asia Pacific Institute of Research (Japan), and served as consultant for various organizations including government agencies in Indonesia, international NGOs and United Nations agencies, e.g. ADPC, Oxfam, GIZ, JICA, UN-ESCAP. His research and professional interests are ranging from disaster management, disaster education, humanitarian studies and humanitarian operations, climate change adaptation, and urban planning. Currently, as a JSPS-UNU Postdoctoral scholar, he is exploring the networked-politics of science and policy nexus on disaster management and climate change adaptation in Southeast Asian countries. He employs various tools such as social network analysis and discourse network analysis, as well as various fundamental political science and public administration theories. Mizan also holds professional certification in emergency response and humanitarian operations, including Incident Command System (basic level, intermediate level, and Incident Action Planning specialization). He is also a certified member of the ASEAN Emergency Response and Assessment Team (ERAT) and United Nations Disaster Assessment and Coordination (UNDAC). He is affiliated with Integrated Research on Disaster Risk (IRDR) as young-scientist fellow, and was active at the United Nations-Major Group for Children and Youth (UN-MGCY), which represented youth constituent in various UN-related processes. 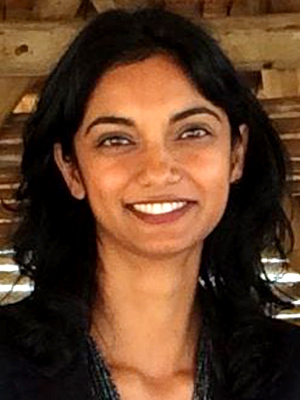 Merle Naidoo is a Visiting Researcher in the Graduate Program in Sustainability Science – Global Leadership Initiative (GPSS-GLI), University of Tokyo. Before joining GPSS-GLI Merle worked as a lecturer in the Department of Geography at the University of the Free State (UFS), South Africa (2010-2015). She obtained a PhD on Sustainability Science from the University of Tokyo, adiploma in Disaster Management from UFS (2010) and a MSc in Water Management at Rhodes University (2008). She received her Honours degree in Environment and Development (2003) and her BSc in Plant Sciences (2002), both at the University of KwaZulu-Natal. Robert Massimo Alfonsi is a PhD candidate in the Graduate Program in Sustainability Science – Global Leadership Initiative (GPSS-GLI), University of Tokyo. Before joining GPSS-GLI, Robert worked as a Lecturer in the Department of Computer Science and Informatics at the University of the Free State (UFS), South Africa (2010-2016). He obtained an MSc in Computer Science from the University of Pisa, Italy, (2009), carrying out field research in Information and Communication Technology (ICT) in Education and ICT for Development (ICT4D) at Rhodes University’s Telkom Centre of Excellence, South Africa (2005-2007). Robert is interested in the adoption and use of ICTs for food systems. For his PhD he investigates the challenges and opportunities of using ICTs for enhancing the sustainability of food systems, focusing on the development of an ICT framework for the South African food system. 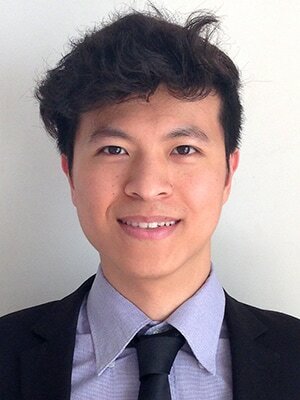 Rodolfo Dam Lam is a PhD candidate in the Graduate Program in Sustainability Science – Global Leadership Initiative (GPSS-GLI), University of Tokyo. Rodolfo holds an MSc in Sustainability from the United Nations University Institute for the Advanced Study of Sustainability (UNU-IAS) in Tokyo, and a BE in Computer Science from the Monterrey Institute of Technology and Higher Education (ITESM) in Monterrey, Mexico. 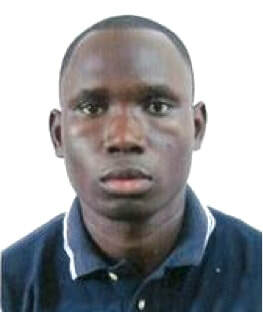 Before joining GPSS-GLI, he was a Research Assistant at UNU-IAS working on food security in Sub-Sahara Africa. Prior to his graduate studies, Rodolfo worked in the technology sector and consumer mass market leading regional initiatives in Central and Latin America. Rodolfo’s research interests include sustainable development, transdisciplinary research, gender equality and policies to achieve social justice. His PhD research focuses on mapping the development challenges of the Gunas, an indigenous group in Panama. The study seeks to follow a multi-stakeholder approach to identify key sustainability challenges in the socio-ecological systems (SES) of Gunas Yala, and explain patterns within the system using network analysis. Vinamra Mathur is a PhD candidate in the Graduate Program in Sustainability Science – Global Leadership Initiative (GPSS-GLI), University of Tokyo. Prior to joining GPSS-GLI, he was Program Assistant at the Responsible Asia Forestry and Trade Program (RAFT) at the Nature Conservancy (TNC) in Bangkok, Thailand. He holds a BSc (Hons.) in Environmental Science from the University of Manchester (2013) and an MSc in Environmental Governance from the United Nations University, Tokyo (2014). Vinamra’s research stems from his professional experience at the Nature Conservancy, which provided capacity-building and knowledge-sharing services to several Asia-Pacific countries in support of their efforts to promote trade in responsibly harvested and manufactured wood products. Through his research, he aims to understand the role of Japanese timber procurement and logging processes and practices, in order to better estimate their impact in the Sarawak region of Malaysia. Abubakari Ahmed was a PhD student at the Graduate Program in Sustainability Science – Global Leadership Initiative (GPSS-GLI), University of Tokyo (2015-2018). 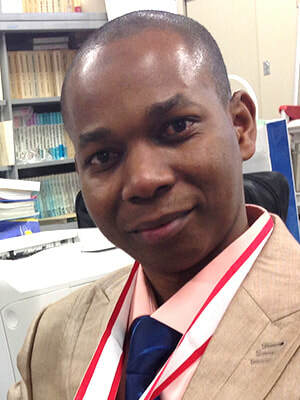 Boubacar Siddighi Balde was a Project Researcher for the Belmont Forum project FICESSA at IR3S, University of Tokyo (2015-2018). His research focused on the food security outcomes of industrial crop production in Sub-Sahara Africa. 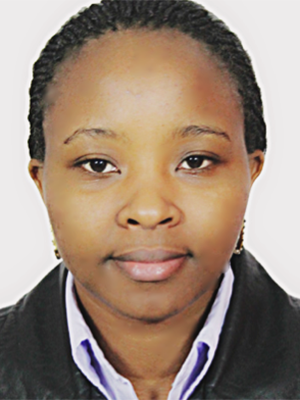 Linda Chinangwa was a Visiting Research Fellow at IR3S, and a JSPS-UNU Postdoctoral Fellow at the United Nations University-Institute for the Advanced Study of Sustainability (UNU-IAS) (2015-2017). She conducted research on the potential of Payment for Ecosystem Services (PES) schemes in sugarcane and tobacco landscapes of Malawi. 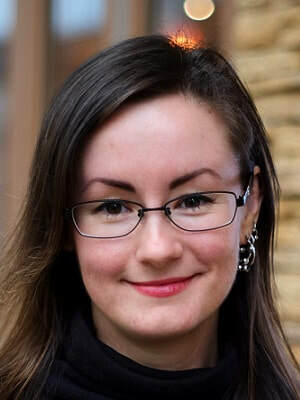 Nikole Roland was an MSc student at the Graduate Program in Sustainability Science - Global Leadership Initiative (GPSS - GLI), University of Tokyo (2017-2019). Her MSc thesis explored conflicts over water in sugarcane areas of Swaziland and how they are exacerbated by the 2015-2016 drought. 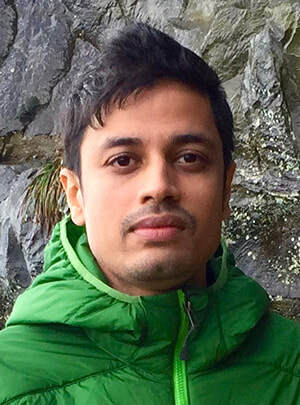 Shamik Chakraborty was a Visiting Research Fellow at IR3S, and a JSPS-UNU Postdoctoral Fellow at the United Nations University-Institute for the Advanced Study of Sustainability (UNU-IAS) (2015-2017). He conducted research on ecosystem change and how it affects the ecosystem services provision in traditional Japanese seascapes. 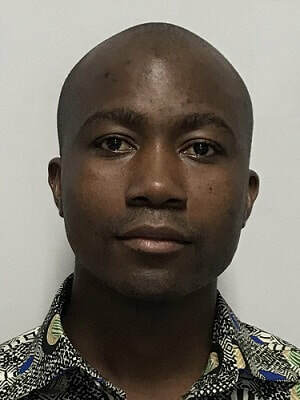 Spencer Sibanda was an MSc student at the Graduate Program in Sustainability Science – Global Leadership Initiative (GPSS-GLI), University of Tokyo (2017-2019). His MSc thesis studied the sustainability impacts of Conservation Agriculture in Zimbabwe.